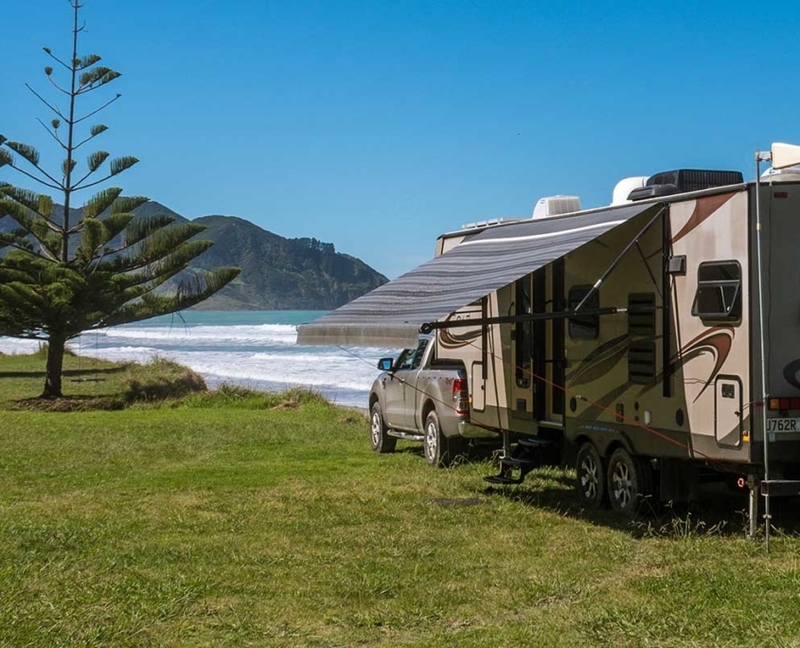 At Douglas, we can restore, repair and rejuvenate your caravan or motorhome. Whether you’re looking to fix or replace your canvas awnings, revamp your upholstery, design and build new squabs or refresh your carpet, everything we do is customised to fit seamlessly. We also love creating unique designs. If you want to camp in your Toyota Landcruiser or transform your trailer or horse float into a functional sleeping space, we will come up with an innovative solution to keep you warm, dry and comfortable. Pop in and see us at our Hastings showroom to browse our range of recommended fabrics and arrange a measure and quote. There’s plenty of room to drive in. Tell us about your camper project and let’s explore your options. You name it, we’d love to customise and craft it. Get in touch.